March saw the long-awaited resurfacing of Sleaford Green. The road had been badly neglected by the Tory-run County Council. But £8,000 worth of resurfacing work banished the potholes and now residents enjoy a nice smooth surface. Mrs Armstrong, who has lived in the cul-de-sac for many years, was full of praise for the local Labour team who have waged a tireless campaign to get the job done. “Thank you so much. I am overjoyed,” she said. 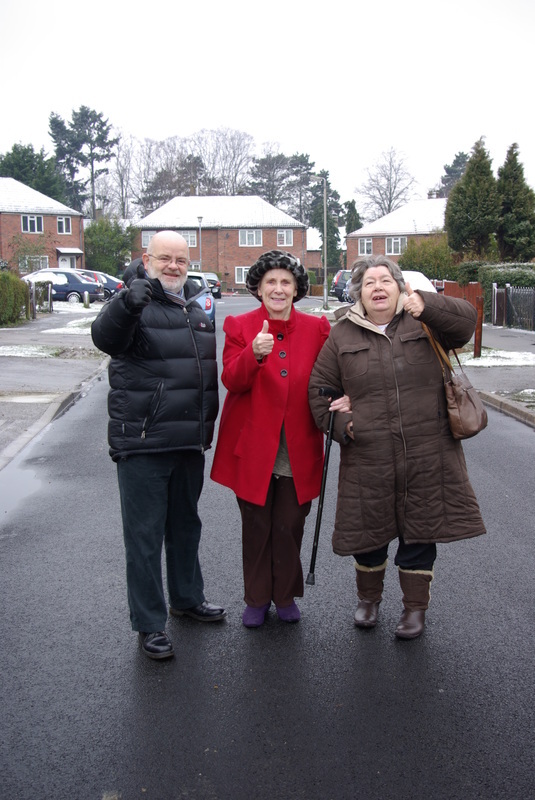 Joan King, pictured with fellow parish councillor Brendan O'Brien and the delighted Mrs Armstrong said; "This another example of Labour battling hard and getting things done in South Oxhey".